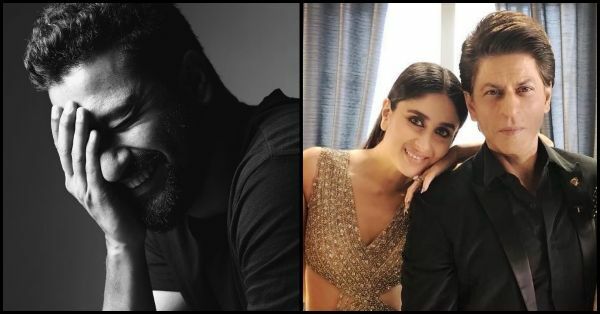 Vicky Kaushal Reveals That He Hid At SRK's House Because Of Kareena Kapoor! Fashion designer Anaita Shroff Adajania is back on Voot with the second season of Feet Up with the Stars. Vicky Kaushal (or Quickie Kaushal, to quote Anaita) was her first guest. After hits like Love Per Square Foot, Lust Stories, Raazi, Sanju and now Uri, Vicky has become every millennial woman's Dilbar(oh). But after he revealed the secrets of his celebrity life, he made us like him even more. And just like that we are back with Season 2 #feetupwiththestars by @condenastvideoindia . Watch now on @voot ! In bed with @vickykaushal09 @janhvikapoor @taapsee @aditiraohydari @kiaraaliaadvani and many more...join us.. it’s a riot! 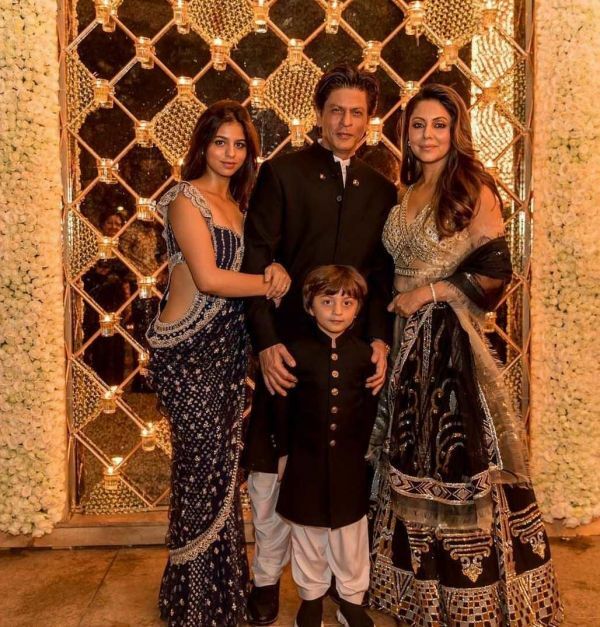 Vicky revealed that when he was invited to Shah Rukh Khan's house for the Diwali party, he misunderstood the dress code. He ended up embarrassing himself so much that he had to hang out in a corner, hiding behind a curtain at his house. And Kareena Kapoor Khan had something to do with it. Vicky said, "So Shah Rukh sir called me and said, 'It was my birthday a few days ago. It's just a chill dinner so come with your friends.' It was my first time at Mannat (SRK's house) and I was so happy that it was a chill get-together for his birthday. So I go in my denims and T-shirt and shirt over it, just casual." Now let us take this opportunity to show you what SRK probably meant by 'chill dinner'. 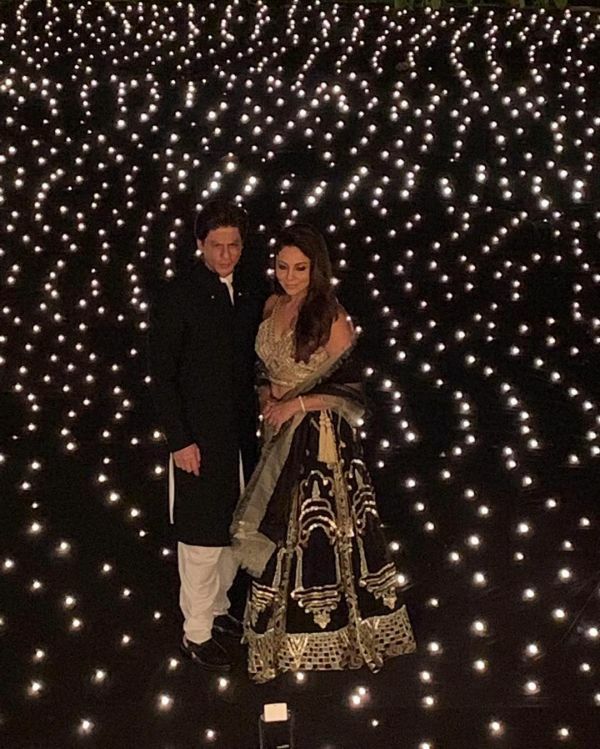 Mannat was decked up with starry lights, white roses and candles. 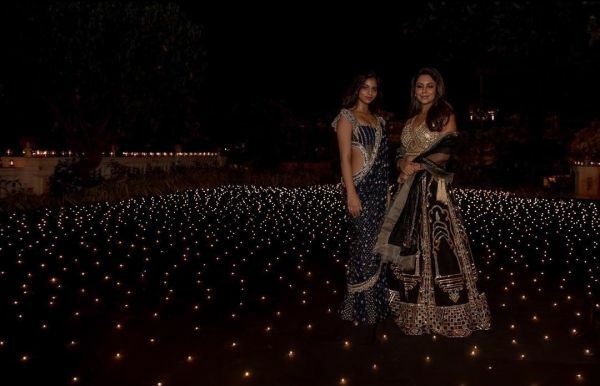 The hosts of the Diwali party, SRK, his wife and the woman behind the beautiful decor Gauri Khan, daughter Suhana Khan and younger son Ibrahim Khan were dressed in their Indian best, looking as lit as the night sky. Vicky went on to add, "I enter and see Kareena Kapoor Khan, Malaika Arora, everyone in like heavy Indian." Let's just say, Vicky had no chills at that party anymore. He added that he spent the rest of the evening "hanging out in a corner behind the curtain." 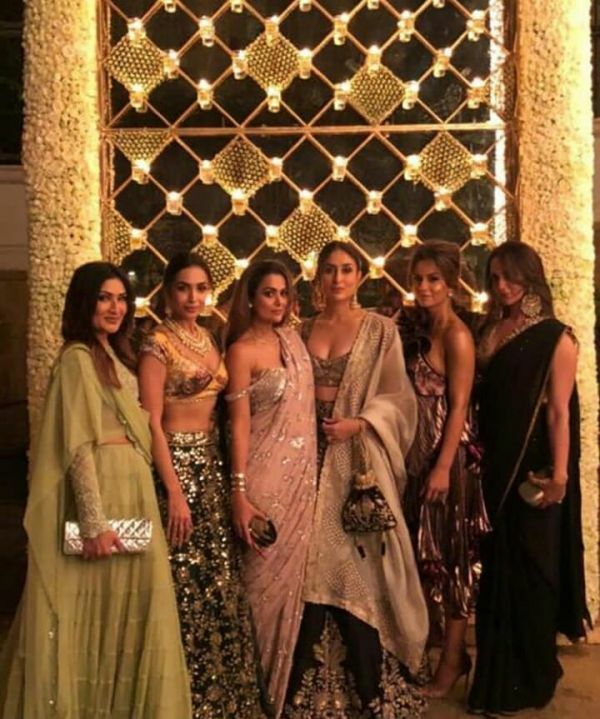 Here's what Kareena Kapoor, Malaika and other celebs wore to the party. In fact, it just wasn't him. Rajkummar Rao and his Manmarziyaan co-star Taapsee Pannu also got the dress-code wrong. "Me, Taapsee, Rajkummar Rao...three, four of us were prepared for a birthday casual scene till we realised that we were so off. We were hanging out in one corner behind the curtain. Like, bar ke peeche wale curtain ke peeche wale wall ke peeche. We were like, koi dekh na le humein. I was so embarrassed because I was the first of that lot to enter,” Vicky added. And when he met Karan Johar at the party, he looked at Vicky from top to bottom and simply said, "We need to talk." That is so KJo! Vicky, please! We admire you in all your avatars, fashion paux pas or not.